RackConnect® refers to the technology (F5 Big-IP Load Balancer, Cisco ASA firewall, Private Network) used to connect the cloud and managed network segments. 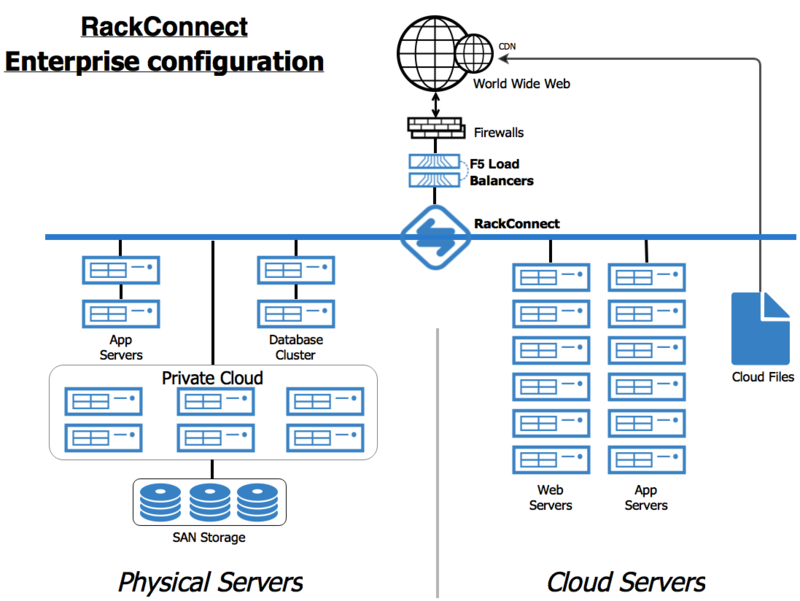 In a hybrid enterprise configuration such as the one shown in the following figure, RackConnect® enables cloud-based and physical resources to cooperate behind the same load balancers and firewalls. RackConnect enables cloud servers and physical servers to cooperate behind the same load balancer and firewall.